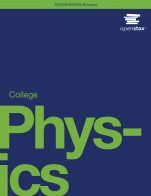 The Astronomy cover is copyrighted by Rice University. It is not subject to the Creative Commons license and may not be reproduced without the prior and express written consent of Rice University. Astronomy (OpenStax) by Andrew Fraknoi, Foothill College, David Morrison, NASA Ames Research Center, Sidney C. Wolff, National Optical Astronomy Observatory is licensed under a Creative Commons Attribution 4.0 International License, except where otherwise noted. The text, coming in at nearly 1200 pages, provides comprehensive coverage for any introductory astronomy course. Indeed, it is so comprehensive that it is difficult to envision covering all of the material in a single-term course. Fortunately, OpenStax provides some suggestions of chapter combinations to be used for particular courses (for example, a course with more of an emphasis on the solar system as opposed to one that looks more at galaxies and cosmology). The text has both a contents page and a comprehensive index, and additionally has many appendices (no glossary of terms per se, but I see little need for this as the electronic version of the text can be searched for the term under question. The chapters of the text I reviewed were error free. I found that the text went into much more depth than the text I currently use (and note that the commercial text I currently use does have errors). OpenStax provides a list of corrections for teh current edition, and also makes it easy to submit an error report. Given that this text has been around since 2016 there has been time to correct errors, and OpenStax does seem proactive about updating and correcting the text, so I expect any remaining errors to be quickly corrected. I do not see that the text is biased in anyway (I find it hard to see how it could be biased!). Yes - the content is absolutely up to date! The text I currently use has nothing about the recent discoveries of gravitational waves, whereas the OpenStax Astronomy text has several pages discussing this. Fabulous! Most of the text concerns material that is well understood and would need little updating. It would be relatively easy to update the appropriate sections as new discoveries are made each year. The text is well written and very readable. The authors have avoided excessive jargon, but at the same time have written the text to cater to able post-secondary students. Often times, material is over-simplified to an extent that it is fairly useless (I find this when I watch the Nova TV show), this text is at the right level for a general post-secondary astronomy course. The layout of the text is consistent between chapters, and the same end-of-chapter resources are present for each chapter. A minor criticism would be that the layout does not look as professional as a commercial text, with the occasional blank space caused by a diagram starting a new page etc. But this is cosmetic! The text is certainly modular, and builds from the basics (what we see in the sky), to the solar system, to stars, galaxies, cosmology and then to life. It is easy to split the text into smaller sections (for example a course on the planets). 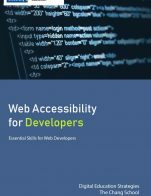 The authors wrote the text with the expectation that a course would not cover all chapters and it certainly seems to me that they have been successful in creating a text that can be easily partitioned to create a text appropriate for the course being taught. Yes, the text follows the usual recipe of starting with an overview, considering what we observe in the sky how we make observations, and from there moving outward from planets to stars to galaxies and then to cosmology. The possibility of alien life is the last chapter which seems like the most logical place to locate this. I see no problems in regard to user interface issues with the text. I was unable to find any grammatical or spellling errors. It appears to have been professionally written. I don't see this as a relevant question for an astronomy text, as the text's subject is beyond the earth! I certainly have no issues in regard to teh text's diversity and inclusion. Yes, I recommend this book. I shall be using it starting fall 2018 for the astronomy courses I teach at BCIT. The problem I currently face is that the courses I teach are electives, and students are loath to spend $200 on a paperback astronomy text, and so many students go without. By adopting this text all students will have free access to a text I believe is on par with the text I will be switching away from. 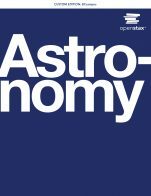 The Astronomy: OpenStax textbook covers the material appropriate for introductory (non-major) First-Year Astronomy courses. It is intended for lecture-style astronomy courses as it does not cover hands-on observational techniques. It can be adapted for use in a single semester comprehensive Astronomy course or for the common split two semester pairs of courses ( astronomy of the solar system, and stars, galaxies and the universe). It includes the background chapters on background science, telescopes and then multiple chapters on aspects of the solar system, stars, galaxies, and the universe. 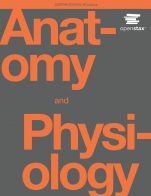 The structure of the textbook is very similar to many of the existing first-year textbooks and has content and structure used in many of these textbooks. Each chapter has a concluding review section with subsections on key terms or glossary, a topical short summary, links for further reading and videos, group activity suggestions, and review exercises (suitable for assignments). There are 13 appendices covering a variety of topics appropriate for such a course, including scientific notation, units in science, physical and orbital data and sky charts. There is a comprehensive index. The textbook is available in a variety of formats. Most students will probably use the PDF downloaded version or the Kindle or iBooks versions. It is also available online in a web browser (Openstax CNX) or can be ordered in a printed hardcover version through Amazon. The book content is written and edited by a number of highly qualified authors and has good up-to-date coverage of topics. The accuracy is good for a first edition ofg a large textbook. The OpenStax web site has a current list of errata as well as a web form to submit suggested corrections. Updated editions of the Astronomy textbook will be improved as these are incorporated. Unlike most science textbooks, astronomy texts need continual updating to keep up with developments in observation and understanding. The current Astronomy textbook is quite up-to-date, with sections on exoplanets and gravitational wave detection that incorporate results that are only a few months old. The structure of the ext and the engagement of the user community should allow this to be maintained. Generally the writing is clear and focussed in much of the text. There is some unevenness in different sections and chapters, which is likely due to different authors and would benefit from more scrupulous editing and focus on voice. Some topics are addressed in different chapters, and show that there has been some duplication by different authors. I am hopeful that these are being identified and edited to improve in future editions. There has been an attempt to keep consistency in use of technical terms, which has been largely successful but not entirely successful. One example is that the text has tried to use light-years consistently for large distances, but some figures and sections do use parsecs, even though this measure has not been defined in the appropriate earlier section. There has been an attempt to keep consistency in use of technical terms, which has been largely successful but not entirely successful. One example is that the text has tried to use light-years consistently for large distances, but some figures and sections do use parsecs, even though this measure has not been defined in the appropriate earlier section. The Astronomy textbook is divided into Chapters and sections that are fairly conventional for texts for this audience. The larger number of authors has led to some duplication of material across chapters in some topics. Layout of the material is quite well done, interspersing text with colour photos, diagrams and using a section heading colour scheme to support browsing and searching. Generally the Astronomy textbook has laid out topics in a logical and clear fashion. The introductory chapters lay out the principles of scientific inquiry, some historical background on pre-scientific ideas about the heavens and then describe the foundational contributions of Galileo, Kepler and Newton that lead to our current understanding of the principles underpinning astronomy. The authors have borrowed many open source diagrams and figures as well as generated their own graphical materials to support and supplement the written text. Navigation in the PDF version of the textbook has the typical difficulties in flipping back-and-forth between sections smoothly. A good PDF reader software is a real aid in this. I have not tried the Kindle or iBooks versions of the textbook to compare how these work as an interface to the material. There are very few issues with grammar or spelling of significance in the textbook. There is not a lot of scope for inclusion of materials from other cultures. An early chapter spends some time on historical astronomy in a few cultural contexts but this is not a focus nor exhaustive. This could be an area of supplement if desired. Some attention is paid to the connection between astrology and astronomy, with some attempt at debunking the common myths that astrology presents. One strong suit of the text is it pays significant attention to a variety of figures in astronomy and is broadly inclusive, particular in regards to the significant contributions by many female astronomers. I have taught first year astronomy courses for 20 years now, and had adopted the Chaisson and Macmillan "Astronomy Today" textbook from its first edition until having made the transition to the Astronomy OpenStax textbook now. The textbook is not as polished as Astronomy Today or similar texts. The coverage of topics is comprehensive and follows a solid logical order. In using the textbook so far, I did not find coverage of topics lacking. There is some inconsistency in detail of coverage across chapters, with some written is a quite informal style, and others going to deep into technical material for the intended audience. An example of a too informal style is some discussion around the connection between physical models and observation of real systems. Given that these courses are often used as a science breadth course for non-science majors, this felt like a missed opportunity to better describe how scientific models ands method are connected to complex real world systems. 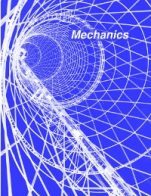 The complete textbook is rather long at 1188 pages in length- much longer than other textbooks used for similar courses. The printed textbook is one of the largest textbooks I have on my shelf. In part this is due to duplicated coverage between Chapters, and in other cases sharper editing could trim the overall discussion of some chapters. Given that the text is mainly used electronically by students, this is not too fatal a flaw, though flipping through the PDF version is a chore even on a relatively large monitor, let alone on the tablets many of my students are using. For an Instructor, one consideration are the supporting materials. In my case I mainly lecture using powerpoint-style slides. The current Instructor package does include powerpoint files for each Chapter material, but these are (so far) only the reprinted figures from each chapter. By far the largest work I had in transitioning to this textbook was to create new lecture slides that incorporate the flow and content of this textbook. In many cases I had to supplement the provided figures with other materials- mainly open source (NASA, ESA and Wikipedia were the most common sources) photos and figures as well as point-form text. It will likely take a few deliveries of the lecture course for me to feel like my slides are approaching where I would like them to be. The textbook is quite good at pointing at other available resources, such as short videos or animations that aid the static materials. Many of the Chapters are reasonably well polished and I had no issue. There were a few I found lacking in approach. Most notably was Chapter 5 (Radiation and Spectra)- in this type of course the material here needs to be sufficient to support the science to come later, with enough background to cover the basic science but not get too deep into the weeds in detail for this audience. I found that I needed to supplement and work around the approach used in the current version of this Chapter. It could also do with some attention to the diagrams, which are often basic and potentially confusing. Not enough separation and attention is paid to the distinction between thermal spectra/radiation and atomic line spectra, and there is essentially no coverage of even the basics of molecular spectra. There is still work to be done on creating a consistent look to part so the material. One example are the Hertzsprung-Russel diagrams, which could do with being made consistent in form and presentation across the chapters they appear in. Given the already lengthy text it is hard to argue for additions but I do feel the section on the large-scale structure of the Universe is too rushed and would benefit from splitting out a final separate chapter on cosmology. In the end I will continue on working to adopt this textbook, as the students found it a pretty compelling bargain to get a good textbook free, and with promise to be improved by crowdsourcing the inevitable errors and hopefully addressing some of the version 1.0 structure and content issues that are being identified.